As a small podcast operation, it’s really important for us to get people to rate and review our show. If we get these ratings, that will allow us to get additional sponsors which can lead to more opportunities and hopefully continue to improve the quality and content of the podcast. 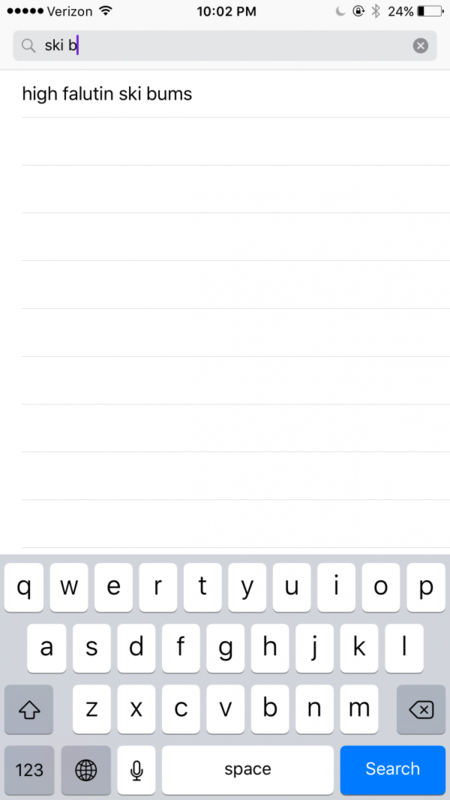 Here are the instructions on how to rate and review using the the Apple Podcast app on the iPhone. At the bottom right you’ll see a magnifying glass icon that says “Search”, click on that and you’ll get a search bar where you can enter “ski bums” or “high falutin ski bums” if you’re not into the whole brevity thing. Next, you’ll see the results page. You’ll want to click on the tab all the way to the right which says “Podcasts.” You’ll see our logo, description and the red “E” which denotes that we use salty language. Click the arrow/carrot/closing tag all the way to the right. Alas, you’re almost there! The page will now have three tabs, “Details”, “Reviews” and “Related.” Click on the “Reviews” tab. There you will see our ratings and about 3/4 of the way down a link to “Write a Review.” That’s where you’ll be able to us what you think of the show! 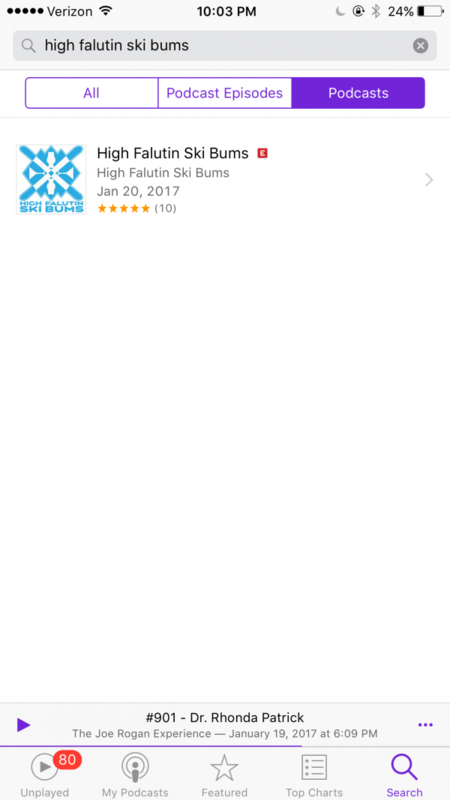 Hopefully you’ll give it 5 stars, because you know if we could rate you as a listener, we’d give you AT LEAST 5 stars. 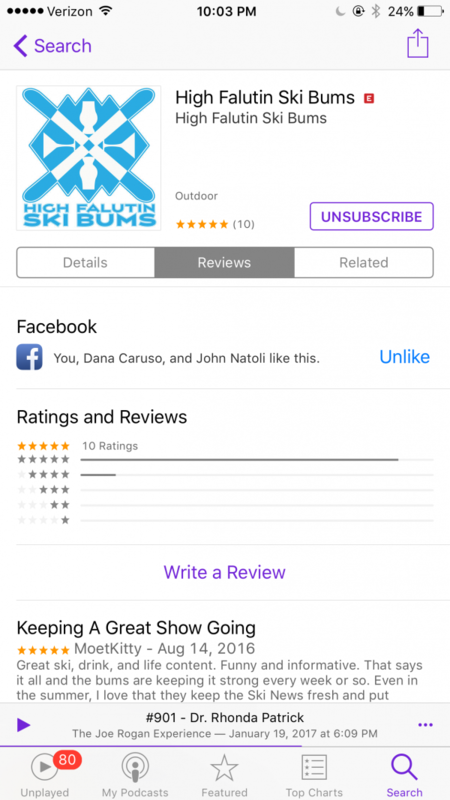 http://www.stitcher.com/podcast/high-falutin-ski-bums, scroll to the bottom and write your review…easy! Thank you so much for checking this out and rating/reviewing the show. We love doing it and hope you love listening.